Overcoming depression is sometimes a matter of expressing emotions in healthy ways, followed by effective action. Most depressed people are angry about something, but have given up on doing anything about it. Anger is the emotion that is closest to the surface, and therefore easier to express than the companion emotions of sorrow and fear. Expressing anger in unhealthy ways, of course, can just make everything worse. So the key is healthy anger, which leads to effective action! I know we're talking a lot about anger here, and you came to this page because you're interested in overcoming depression. Not to worry. You'll get lots of help here on understanding and healing depression--not just the symptoms, but the causes as well. We are all born with emotions, and they develop as we grow. When our sorrow, fear and anger don't get expressed and we don't learn how to deal with those emotions in healthy ways, we can end up with early signs of depression or even chronic depression. We end up with some kind of pain and sorrow. From our pain and sorrow, we develop fears. And along comes anger, to keep us safe--that's right, anger is the protective emotion, designed to make us strong in the face of threat and opposition. When this story does not have a happy ending--meaning we don't learn to express these emotions in healthy ways and thus do not feel powerful in facing the world, depression can result. So, as you can see, depression can result from unmet love needs, sorrow and anger that never gets resolved. Overcoming depression is therefore sometimes a matter of expressing anger in healthy ways, in order to begin the process of emotional healing that can prevent chronic depression. Want to get started right now? Learn all about overcoming depression with this information and skill-packed CD program. You can preview it now at no charge, and buy it with a full money-back guarantee. These two anger management CDs help you to understand anger and depression and how they affect your health and your overall happiness. You will also learn powerful tools for healing your anger issues, overcoming your depression symptoms and expressing all of your emotions in healthy ways. Listen to a free preview below! Learn more or buy now! Now we're going to look at some ways of expressing anger that will prevent and heal depression. Anger management techniques are a good place to start. 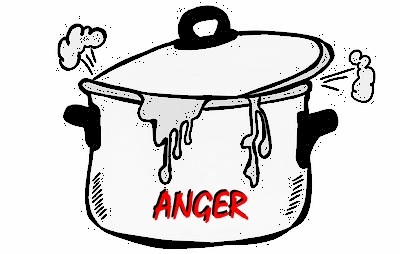 There are many clear and straight-forward methods to heal and manage your anger, and part of that is learning to express this powerful emotion in healthy ways. 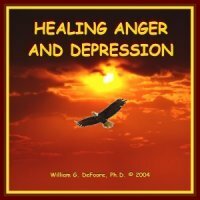 The audio CD program called Healing Anger And Depression will give you a comprehensive overview of the topic, plus some great tools and techniques. It all boils down to this...when you heal the emotional pain behind your anger, it becomes more manageable and easy to express in healthy ways. Then your depression will subside. There really is such a thing as healthy anger! When you heal your anger, in the process of overcoming depression, your anger will become healthy. This means it will be good for you, your health and your relationships. You don't have to live with depression, or rely on medication for the rest of your life. Take this depression test to see where you stand with the depression warning signs, and then take effective action and become your own best anger management resource! Learn about powerful and practical tools for overcoming depression here.